Anyone else remember when pizza was simple? Crusts weren’t stuffed and the most exotic toppings you could get were ham and pineapple. But now it sorta feels like pizza is trying way too hard. Recently Pizza Hut UK started offering the perfect combination of every 7-year-old’s favorite foods, hot dog stuffed crust pizza. 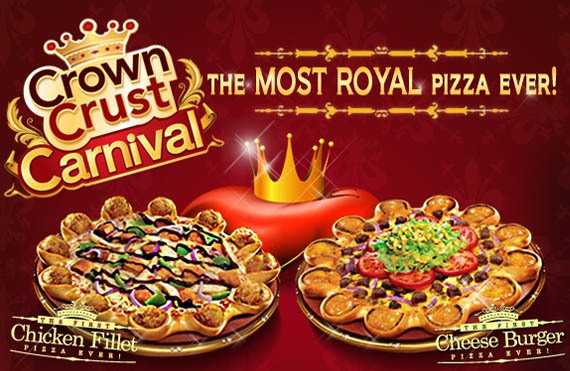 Now Pizza Hut Middle East has upped the ante with Crown Crust Carnival pizzas which have cheeseburger or chicken fillets baked into the crust. 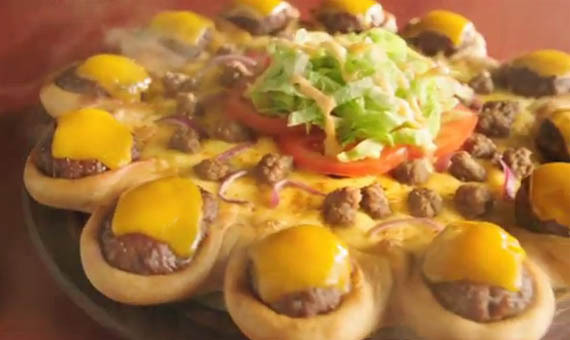 While it sounds delicious, it kinda makes you wonder what’s next… Pizza Hut Japan making sushi roll crust pizza? Sounds awful, but I’d probably still try it.